Our Complete House Tour + Some HUGE news! I love the way the dining room turned out SO MUCH! At night it glows with the most cozy, romantic, moody light from the chandelier and it’s just a dream. I will be very tempted to re-purchase that light for our next home! I actually will be very tempted to recreate this whole room, truth be told. 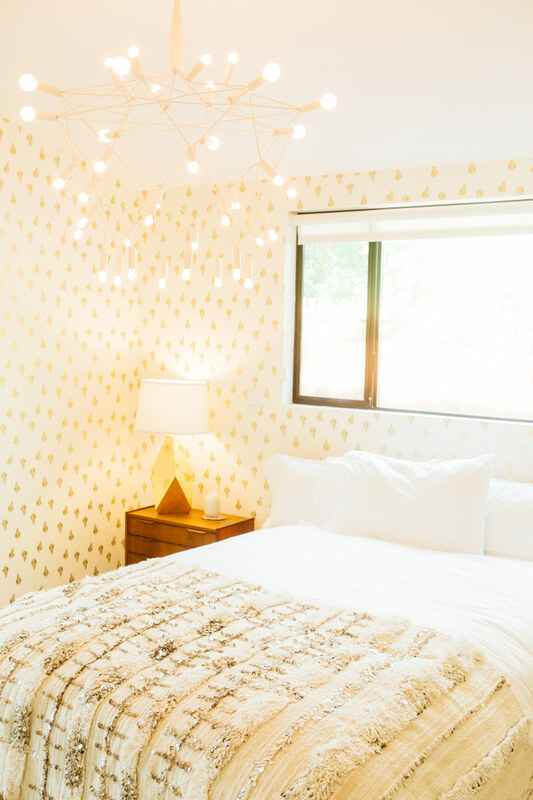 Our bedroom is one of my favorite spaces in the house- it’s a perfectly peaceful retreat and the worst thing about it is that sometimes it’s so lovely it makes it nearly impossible to get out of bed! I couldn’t love the built ins the builder chose more, and having this sort of dream closet/built in situation is going to be hard to beat. 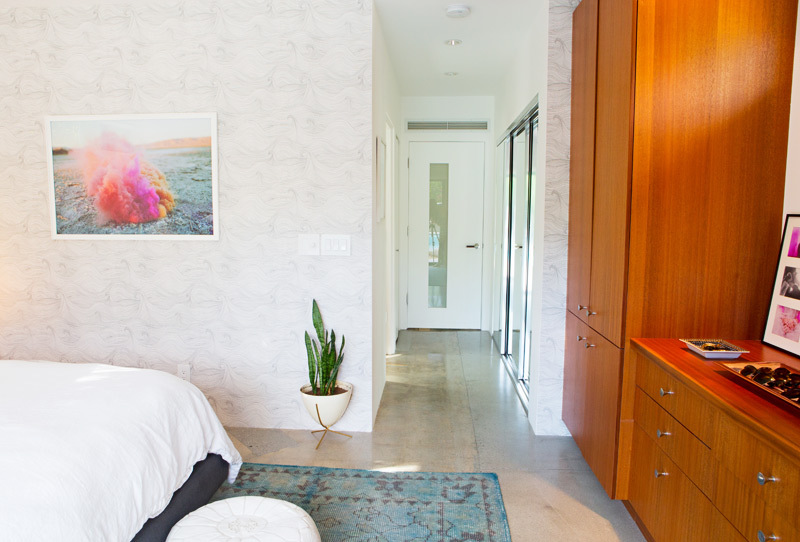 We wanted each of the guest rooms to have their own style- as if each was its own little boutique hotel room! And we wanted one of them to be a little more masculine than the rest. 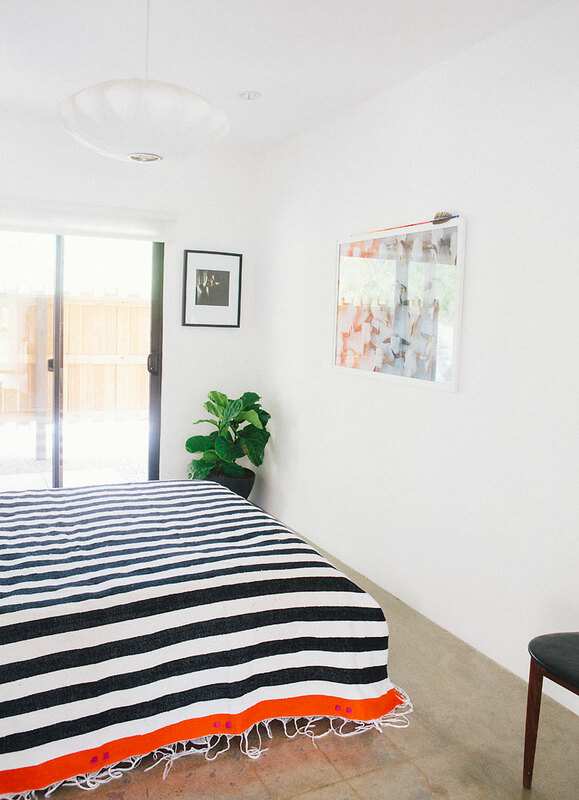 So this room we kept simple, letting the striped throw blanket be the star. I wish the photo of the cow skull print had turned out better because it’s amazing in person and the photo doesn’t do it justice. But it plays off the striped throw perfectly and doesn’t compete too hard to be the star! 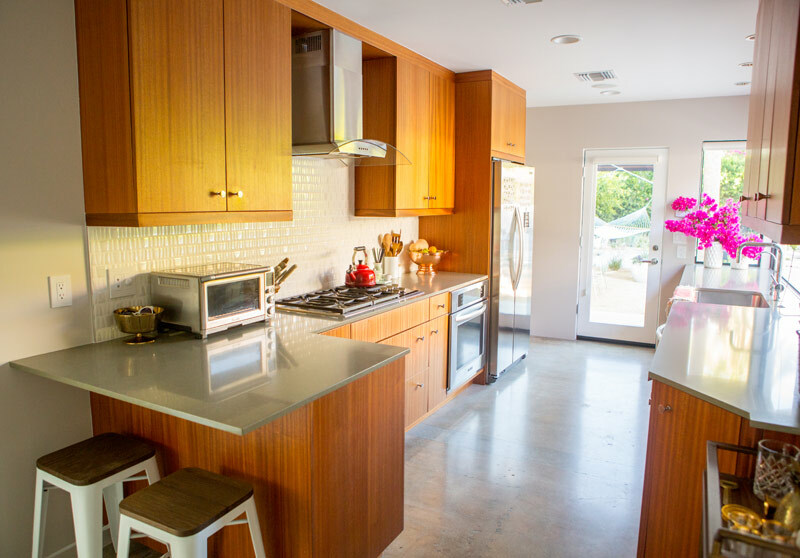 I think I’ve told you before, this is where all my recipe making happens, right here in my dream kitchen. Oh, it’s so good! That window that opens up to the outdoor dining space never fails to make me feel like I’ve won the lottery! 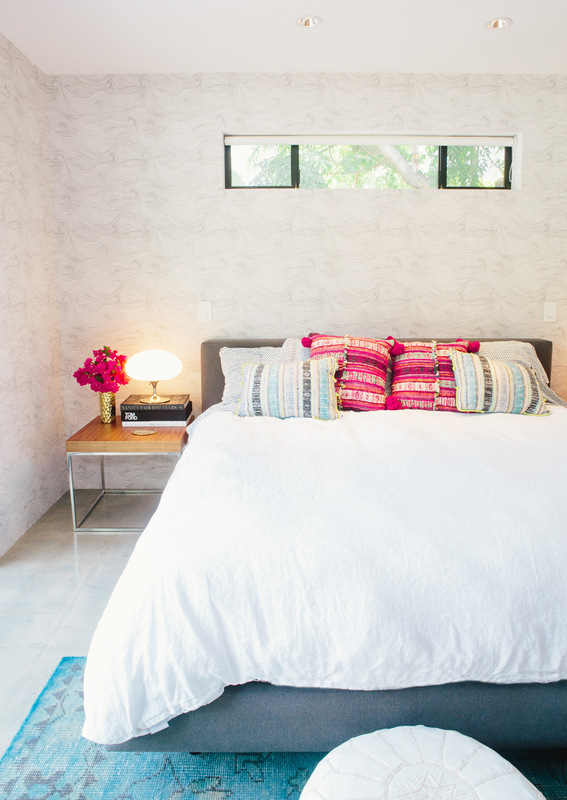 For this guest bedroom I wanted something feminine, peaceful and just a little decadent. 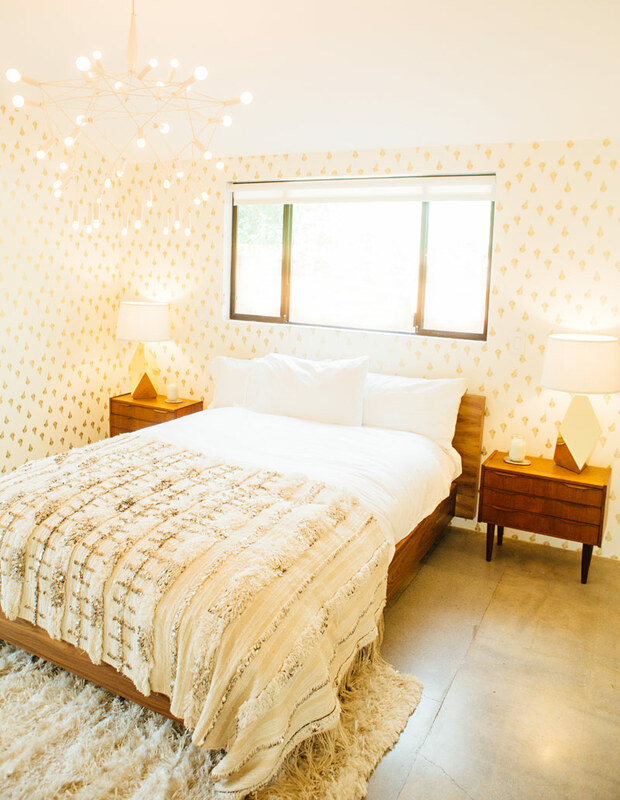 I love the warmth of the room from the cream/gold wallpaper, shaggy rug, and warm wood. And that chandelier! It’s been in three houses with us already, I’l be very sad to leave it behind in this one! I seem to always find a spot that I LOVE it in! 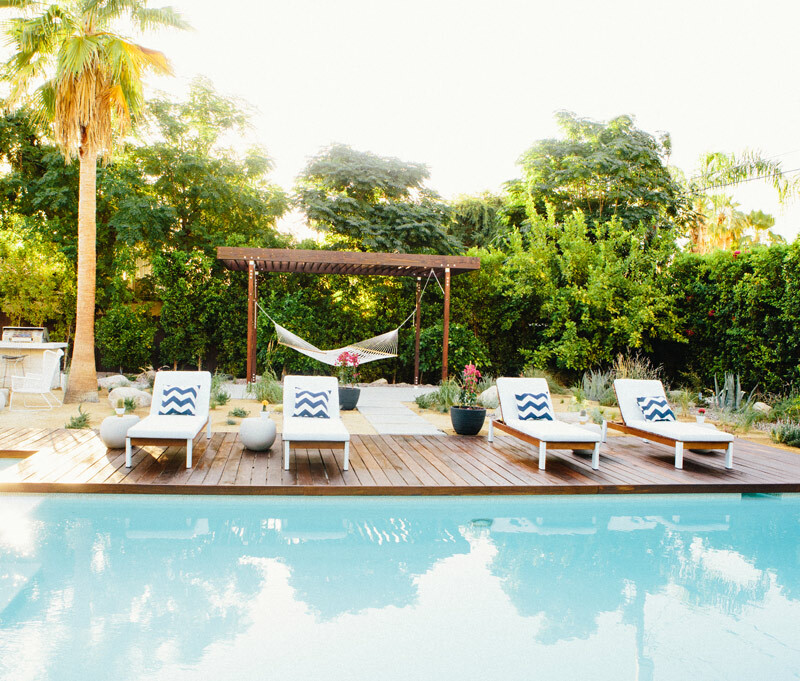 The backyard. What can I say? It’s still crazy to us, when we’re floating in the pool looking around, that a place this magical even exists. We hope the next owners love it as much as we do!!! The house looks beautiful. You did a wonderful job decorating to make it a lovely home and I know you will continue onto another place that you will make just as beautiful. This house is breathtaking. I don’t think I would be able to part with it! Thanks Vanessa! It was not an easy decision- we went back and forth for an entire year! What a stunning home! You put so much work into it and everything turned out beautiful. I can’t wait for you to start the process over again so that we can follow along! Big changes are good! Congrats on a beautiful house and on what is to come. your house is simply stunning and perfect in every way. i wish i had… i don’t know, $5 million(?) to afford this home and live in luxury for the rest of my life. well done, lady. Gorgeous house! Congrats on your new adventure. When will you reveal where you’re moving to?? What an amazingly beautiful house! It’s such a special space. But here’s to making many more beautiful memories someplace new! Your house is stunning! My heart breaks a little seeing how well you furnished it! 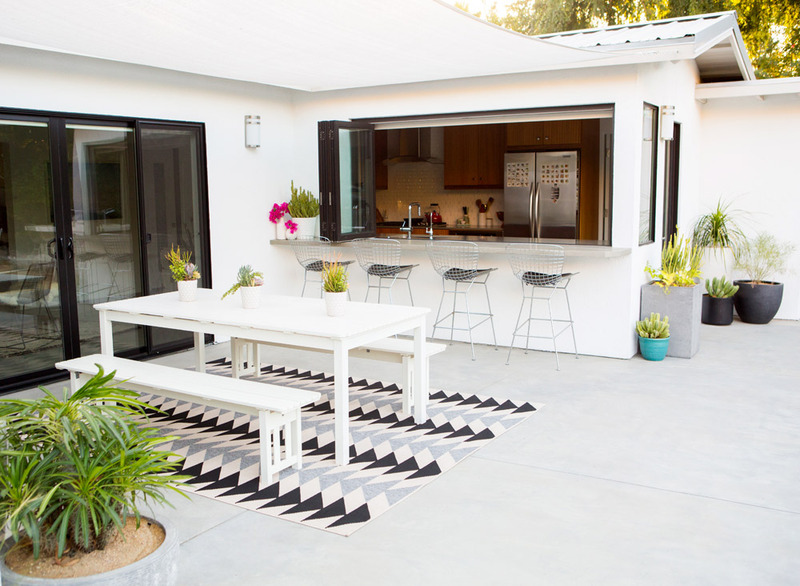 I am loving how your kitchen opens up onto an outdoor bar! Great touch! Thanks Kennedy! 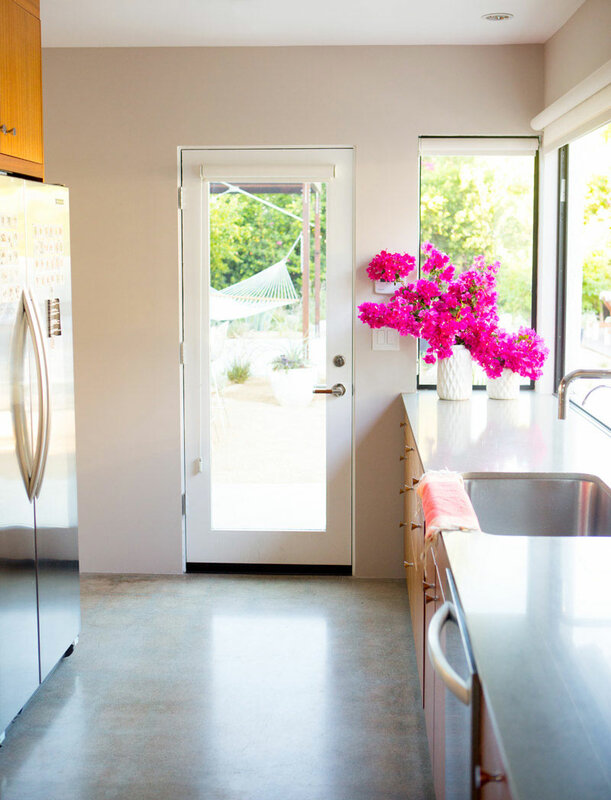 We love that nano window in the kitchen so much! Your home is amazing. Thank you for letting us all take a peek at a place so clearly decorated and planned out with love. It is absolutely beautiful. I hope wherever you decide to go you’ll find what you’re looking for..have fun doing so! Magical. Cha-cha-cha-changes—how exciting! Kudos on designing the most beautiful house ever and good luck on the move (hopefully to San Diego)! thanks for the tour! your home is so inspiring. best of luck w the sale and on your new venture! I can see why it would be hard to leave this little slice of paradise behind, but I’m so excited to see what your next chapter of life brings! what a beautiful home! best of luck on the big change! I love everything about your house. Thank you Natasha, so happy you love it! This is insane. SO gorgeous! Your house is absolutely gorgeous. It looks like it came straight out of a magazine It’s a beautiful home. 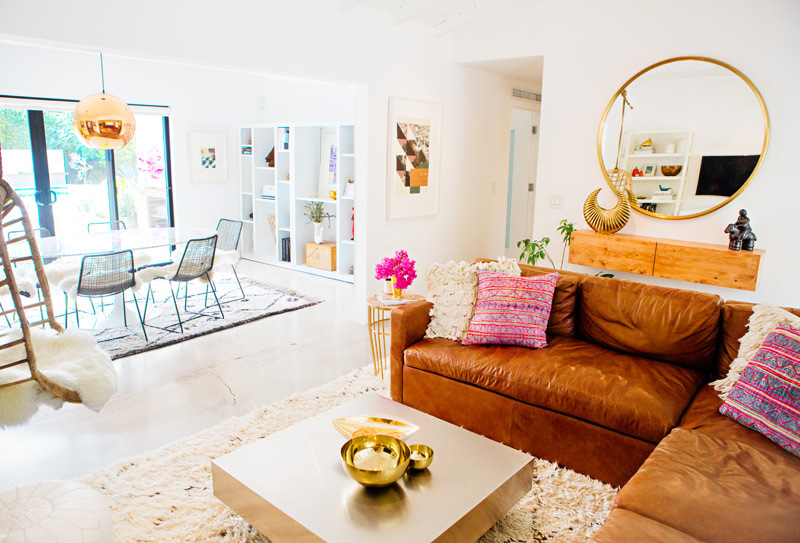 Your house is insanely beautiful! If I had one like this, I would never let it go! You make me wish I had money to invest in it, so bad I live on the other side of the world! If you ever keep it and rent it, I’d love to spend a night of two here! Well now, on the other hand, and I’m sorry if this sounds harsh, but I can’t understand your decision. Well, of course, I won’t tell you to stay in a place you don’t like, but selling this house with ALL the furniture?! You even say that tou like some pieces of furniture so much that you’ll be tempted to buy the same in you new house. What’s the point leaving them there then? Why spending money again on items you already had, especially when you are buying a new house, which is not the cheapest thing on earth? Well, I doon’t know, maybe the eastate market in the US is much cheaper as in Europe, I see bloggers move in and out and buy new houses as if they were buying a new shirt recently and that drives me crazy! I am not even sure I’ll be able to buy a house before being my 30’s! (which is in more than 5 years!) On the other hand, if you plan movin out in a smaller space, you won’t be able to bring everything with you and selling your furniture piece by piece will probably be painful. But really, to me it is not the smartest move to make, economically, practically and environmentally speaking. Also, I can’t imagine that the new owners will come empty handed, with no furniture on their own and buy your house as it is. Or it means that they will either buy it as a secondary/rental house, or that they will sell/throw away their own furniture and use yours (or make a mix of theirs and yours, and it that case they’ll part with some of your furniture, so better take it with you then). Doesn’t it feel strange to you to imagine that someone you don’t know will live in YOUR house, decorated by YOU, with YOUR taste? Doesn’t it feel like they are stealing a part of your personality? As much as I love your home, I wouldn’t live in a place decorated by someone else but me, I mean, we all are unique right? I wouldn’t feel “at home” in a place surrounded by objects that I didn’t got to choose, even though I find them all beautiful. Sorry again for this hard talk, I just simply can’t wrap my mind about it but if that’s your choice I am not one to discuss it. I wish that you won’t regret it and that you’ll find a place you love! I get your feelings Nina! I’m from the Netherlands and it’s not common at all here to sell a house with furniture. But I think it’s more common in the US. I recently moved in – abroad- with my boyfriend and sold all my furniture. It was only student furniture and allmost everything was a bit damaged from moving, but together it looked nice. I had a hard time getting used to the idea that it wasnt worth to take the stuff with me. They were the pieces that constituted my first independent home and I have bonded with them. It’s good that I sold them but I still miss my having my own furniture sometimes! Sarah, I am relived you dindn’t feel offended! As Lynn said, it’s not common to sell a house with all its furniture in Europe so I guess that’s why I reacted this way. I read on Instagran that you would maybe travel a bit before settling down, so selling all you furniture makes sense then. When I think about it, it’s a fantastic opportunity! I remember when I moved out of my first student flat to go in Germany for my studies, I had to sell all my furnitures (which were all student stuff, and thus I didn’t have many belongings) and it drove me crazy not to be able to find someone to buy my matress until the day I had to give my flat back! So I think I understand your choice after all, it’s just that if it was my things, I would be so attached to them that I wouldn’t be able to sell them! But they’re just furniture after all! And I understand that you prefer having them stayins as is in a place you like instead of scattering them all over. After all, people hire interior designers to decorate their house so I think it’s pretty much the same here! So beautiful. Can you share your paint colors throughout? WOW! One of the most beautiful houses I’ve ever seen!!! I can’t get over this house – it is seriously my dream home. 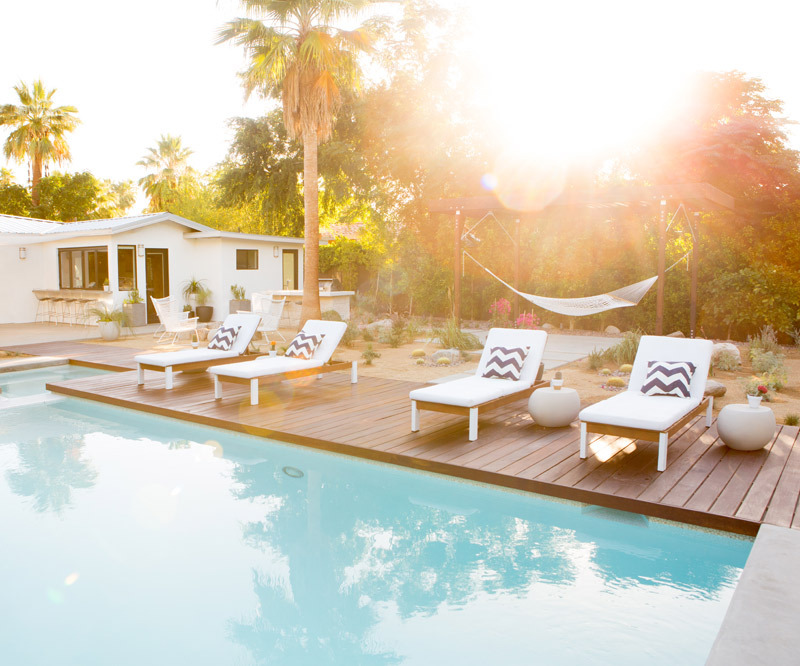 wish I was rich and looking for a home in palm springs! someone is going to be so lucky to live here. The lighting options are so perfect! I can’t believe you’re selling but best of luck and congratulations for the next adventure ahead!! Your house is insanely beautiful. And as someone who has had the same feeling of wanderlust lately, I totally understand your decision! Hi Amy! Thanks so much for the kind words! HA!!!! We waited so long to have this couch, and went through a giant debacle with returning another so that we could get it. I’m really hoping it works in whatever house we land in!! Talk about inspiring places!!! 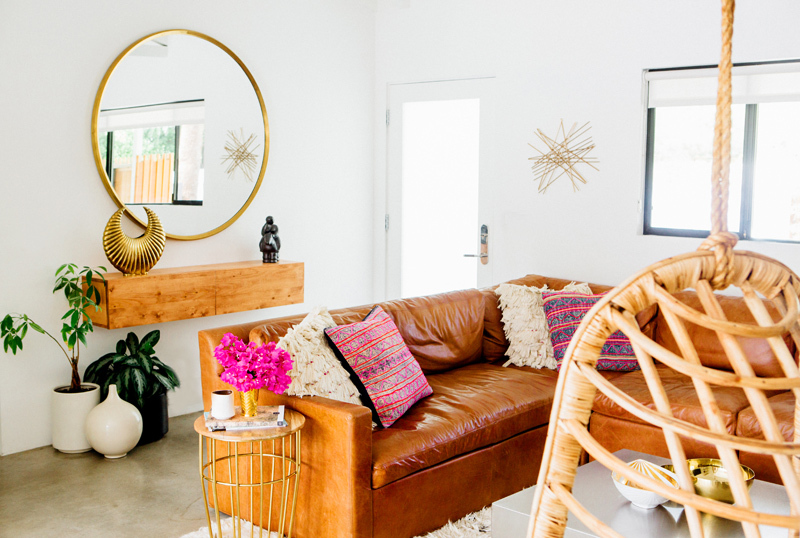 Your home is fabulous–it’s bright, it’s airy, it’s retro, it’s modern. 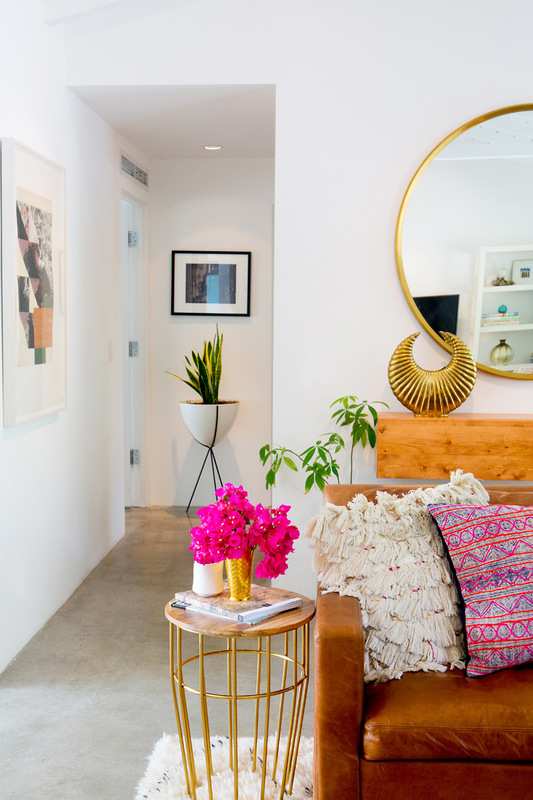 I hope you find another beautiful home and share all of your decorating tips and tricks with us. What you have achieved with this place is incredible. You should feel so proud of it. I’m sure it won’t stay on the market for long and you can move on to another home to make your own. 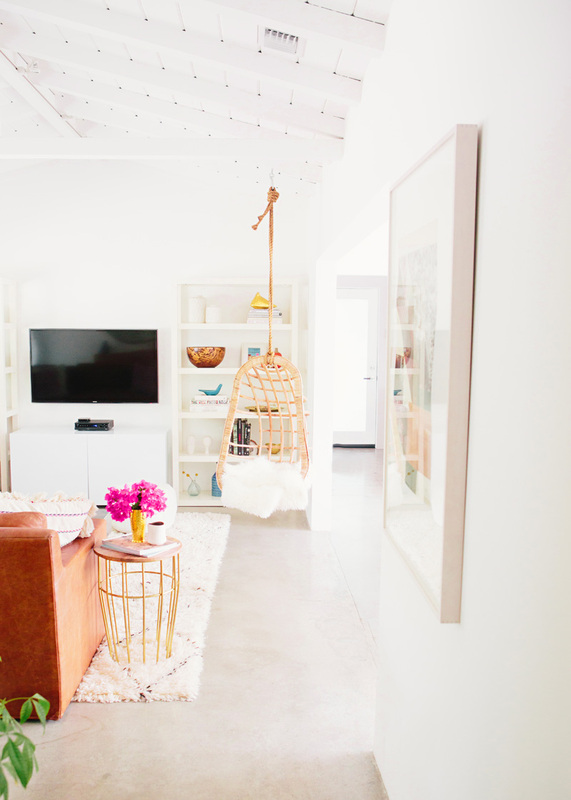 I love how each room has a style of it’s own, it must make it so enjoyable for guests to see what room they stay in. 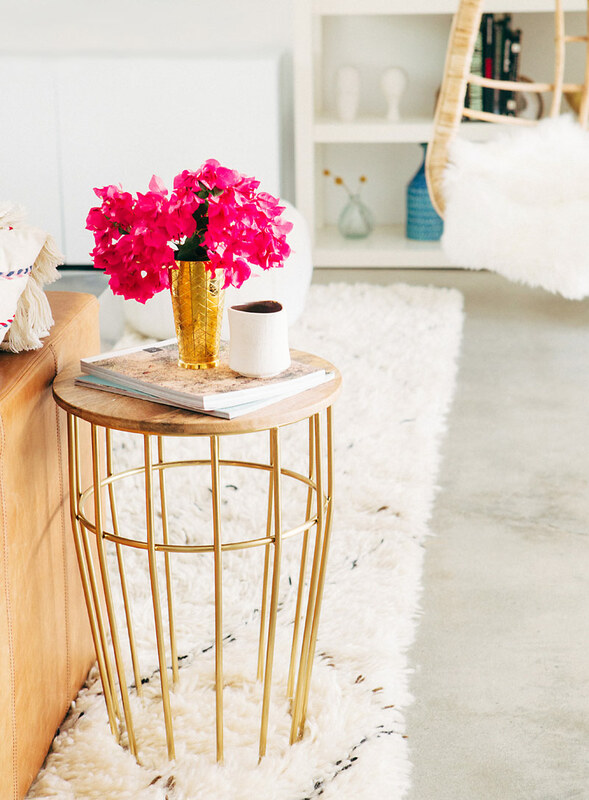 wow… i’ve been following your blog and your home inspires me everytime!!! if you dont sell, and it becomes a vacation home- im adding it to my ‘venue option’ list!!! 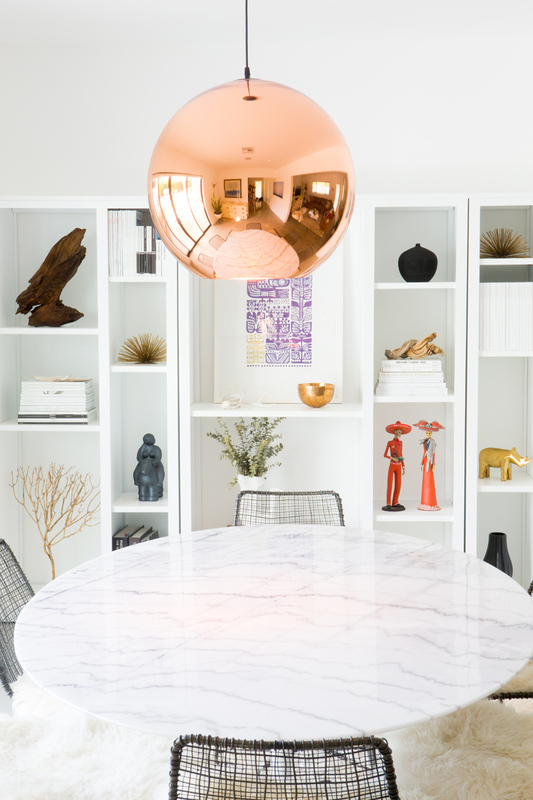 I’m just echoing what everyone else is saying but the house – so much more than a house, a home – is gorge! Here’s something I’ve been meaning to ask for a while now: Do you have any info on sourcing the doors and windows? I just bought a new place and am looking for something along those lines. I love the stark contrast of the dark steel against the smooth white walls. what an incredible home! 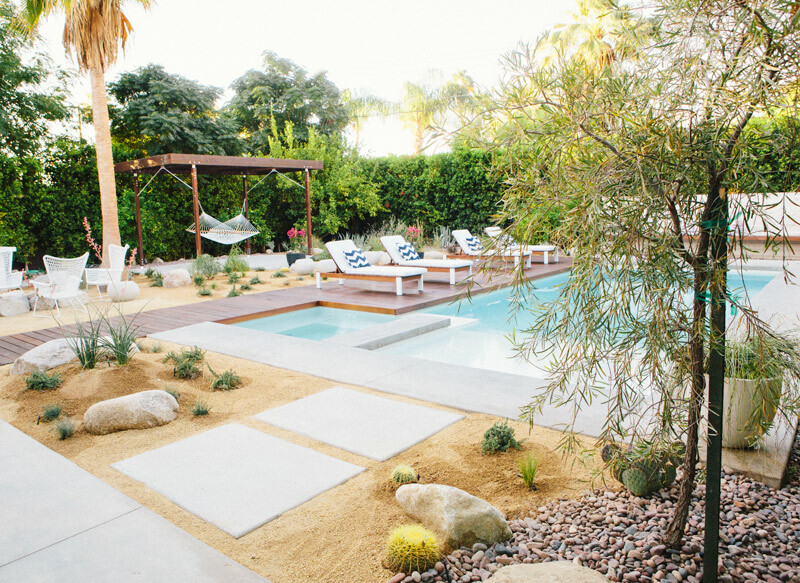 love the airy brightness and color everywhere but how the outdoor mixes with the indoor is my dream! wishing we were in the ,market on the west coast! Thank you Natalie!!! 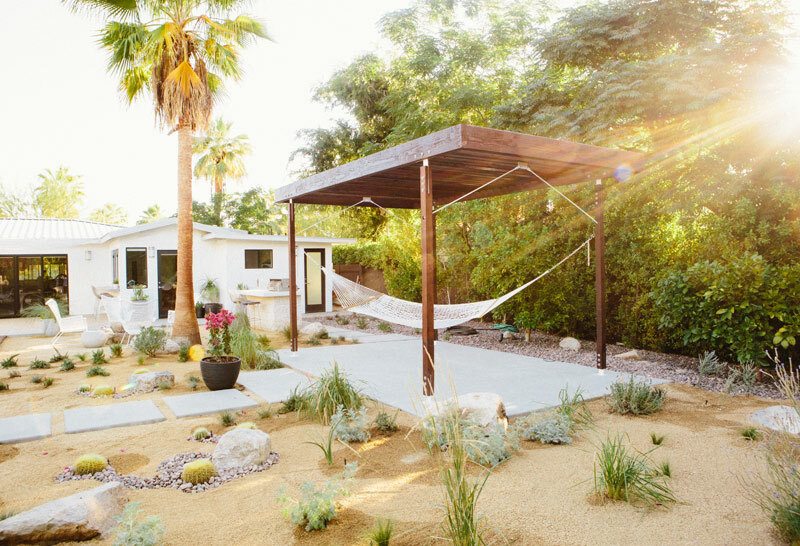 The outdoor living in this house is pretty ideal! So beautiful. You are so brave. Hi! 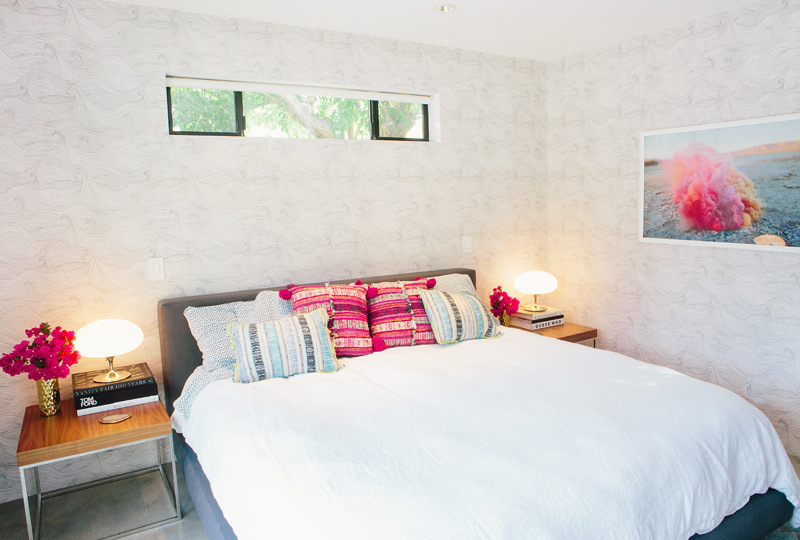 I love Lou’s prints in your home. Does he offer any for sale? I had the privilege to see this in person today at 11:00. You guys have seriously done a fantastic job! I wish you the best with your future endeavors! Officially my dream house! These photos are amazing. Heaven. Your home is utterly sensational! Every detail makes me feel transported. Best wishes on your next adventure. 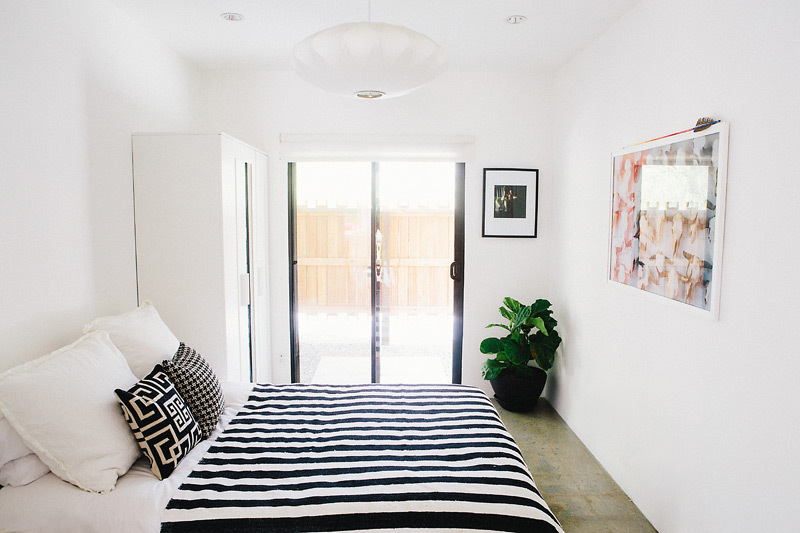 May I ask where you got the white and black plant stand holding the snake plant? Oh my Sarah! Your home is gorgeous. 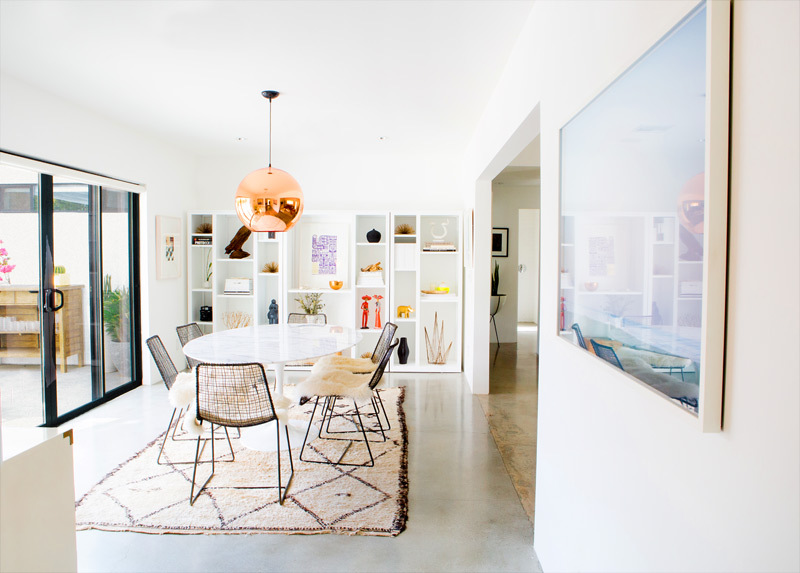 Sharing your home on my blog! Too sweet eye candy! Stunning! I need your help, where did you get the roller shades for your house? Do you mind me asking the brand. We are trying to find something that looks clean and provides us privacy but can’t find anything good. Thank you so much!!! I love the carpet in your Palm Springs living room. Could you share where you purchased it or where a similar one could be found? ps my husband and I just stayed at the Poet’s Loft in Marshal CA, it was amazing, thank you! You are so cool man..you doing a special work man..you put hard work into your site..at your site i really see a lots of new and informative information.. thanking you so much.. Your house makes my heart hurt, I love it so much!! Stunning! LOVE the smoke bomb photo. Is it available for purchase? Hi, I really like this house and was wondering if there were architectural plans available? 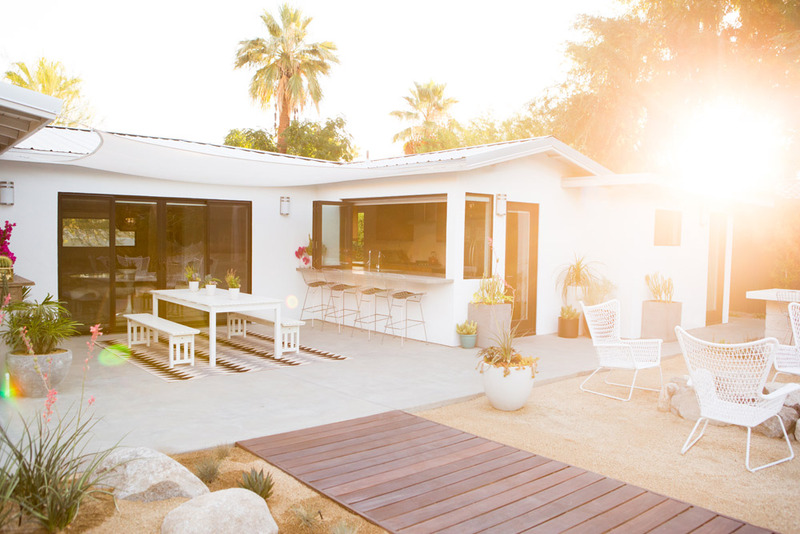 Could you tell me the name of builder for your Palm Springs home? 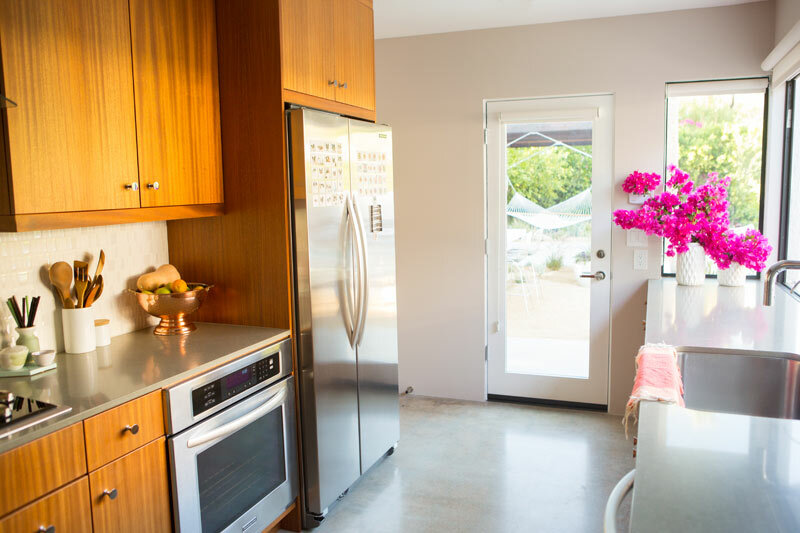 I’m looking at houses in Palm Springs and I have always loved your house! GORGEOUS HOME! I AM CURIOUS TO KNOW IF YOU REPLACED THE INTERIOR MAN DOORS? WHAT STYLE DID YOU GO WITH? awesome, love all the different textures in backyard, wood, dg, concrete….thanks super fun! Beautiful! Where is your couch from? Love everything! Where did you find your couch at ??? I am in love with house. It’s done in a very classy and elegant way.You did a wonderful job kudos to you. 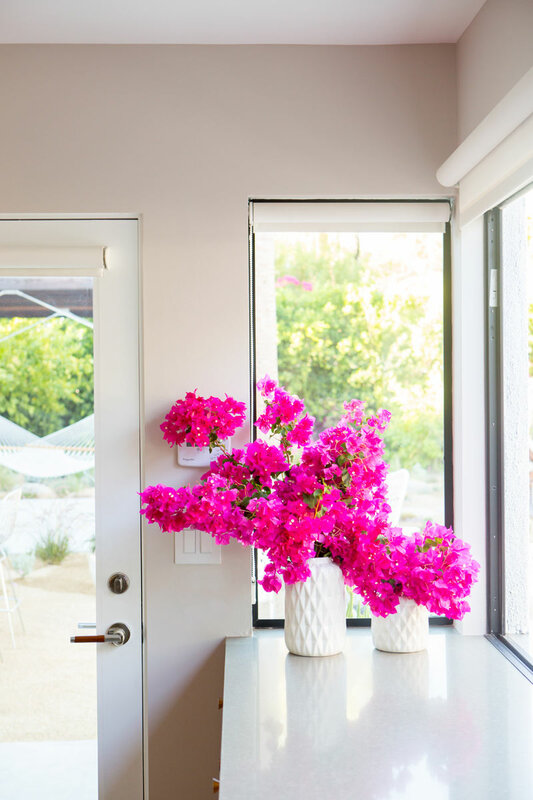 every room I see bougainvillea flowers ,are they natural? ?